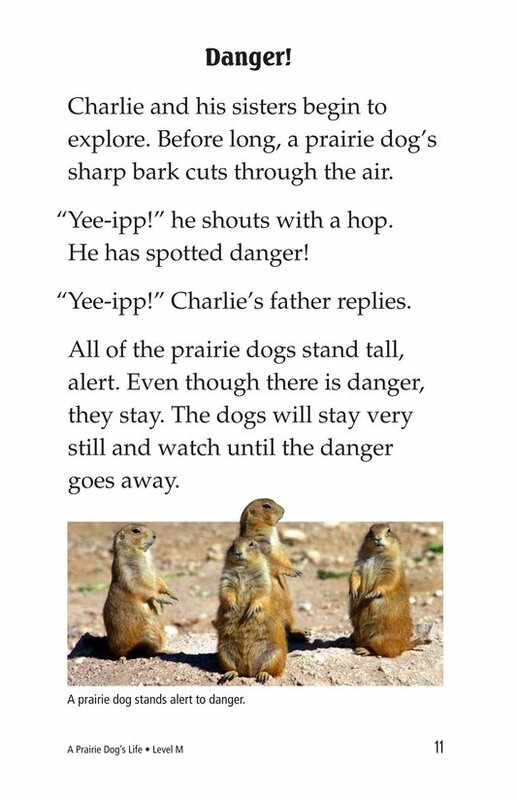 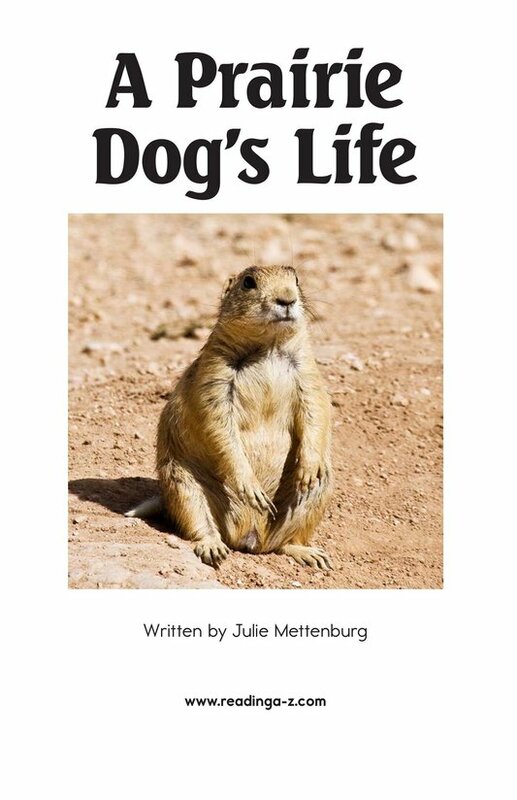 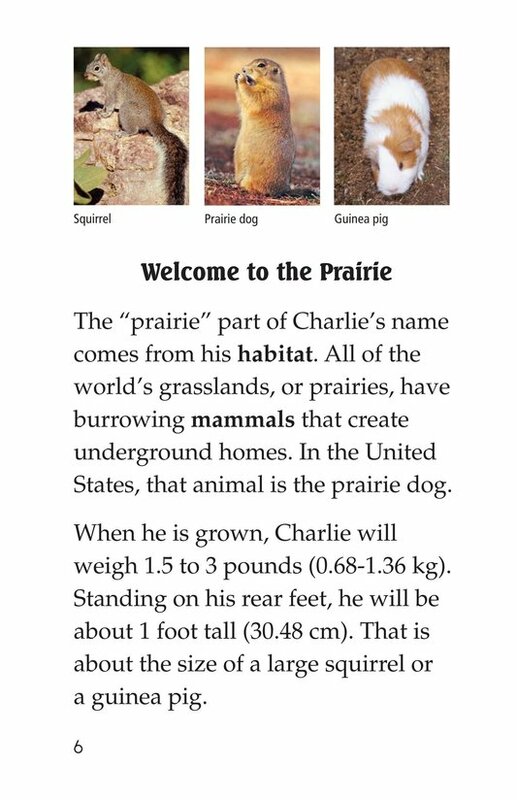 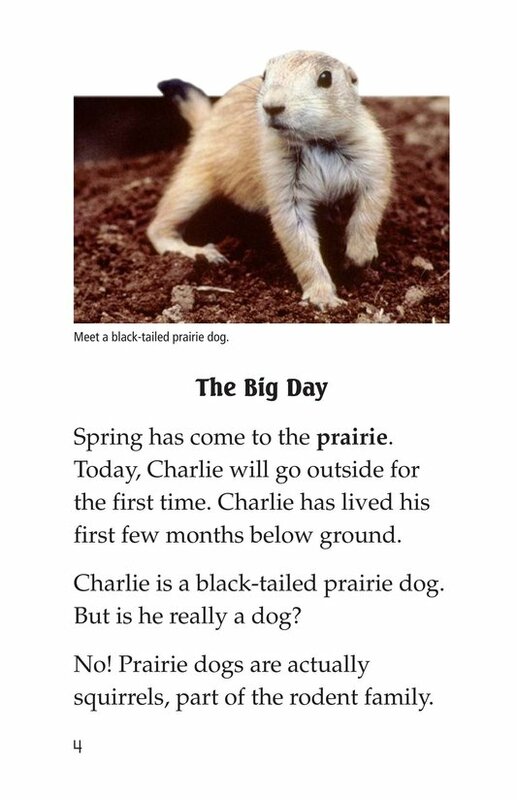 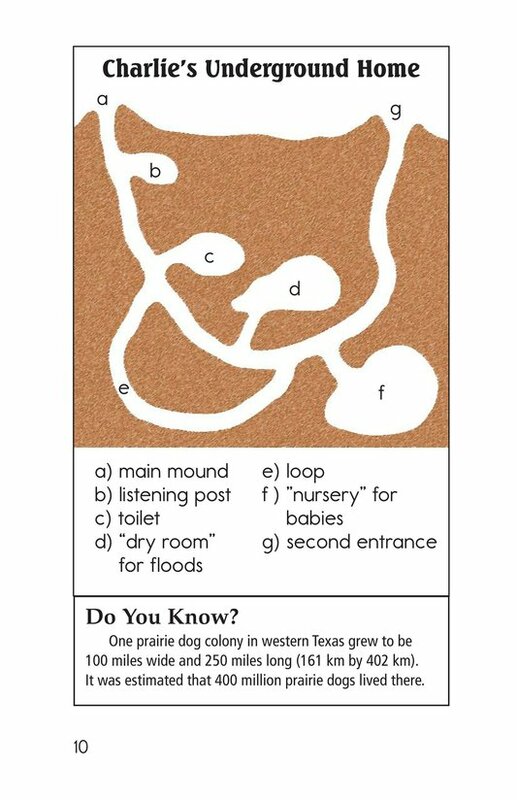 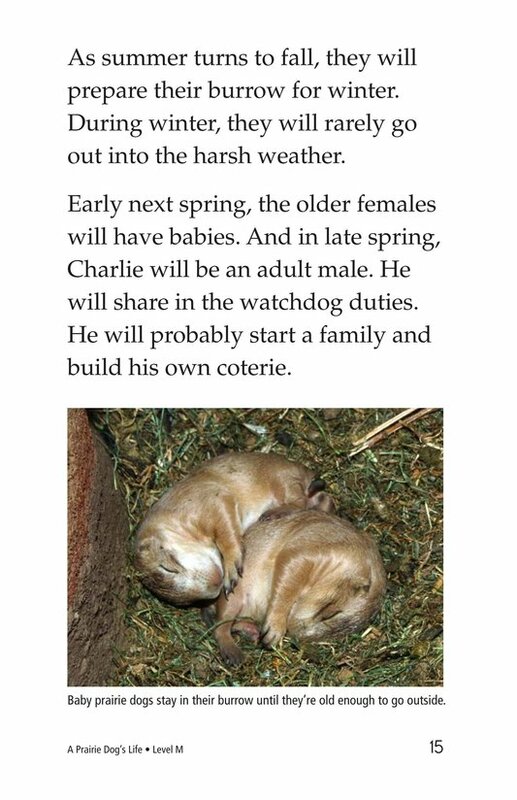 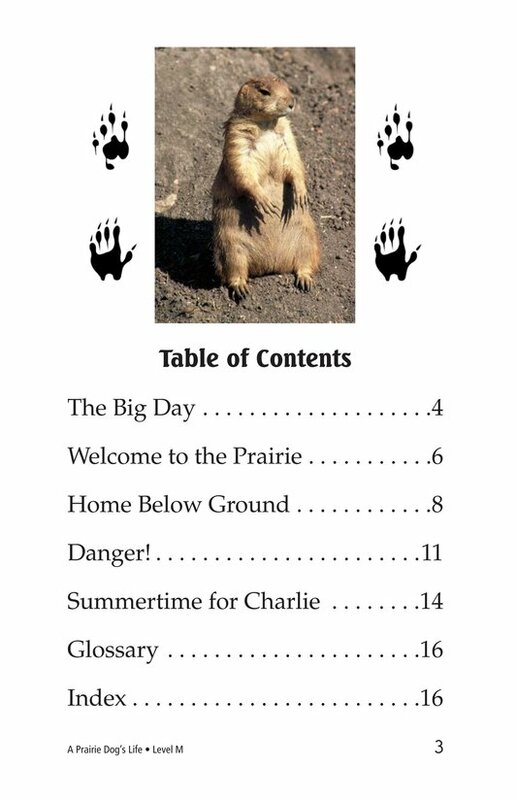 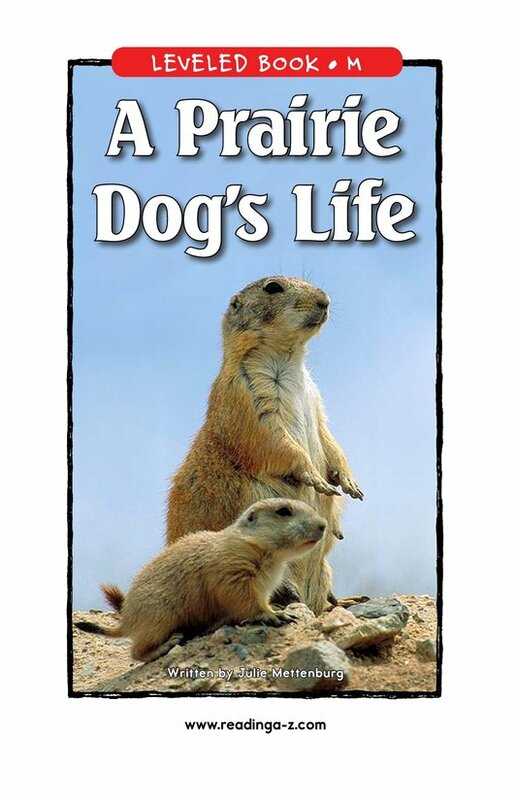 A Prairie Dog's Life provides information about prairie dogs by describing the adventures of Charlie the prairie dog. 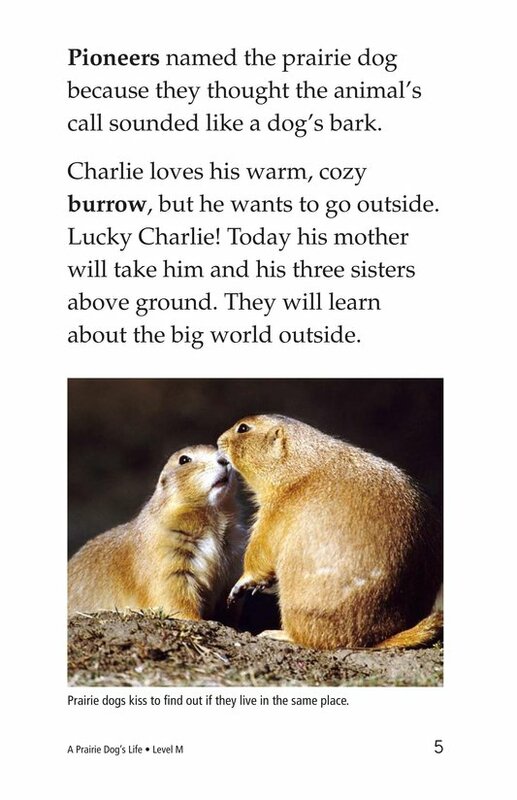 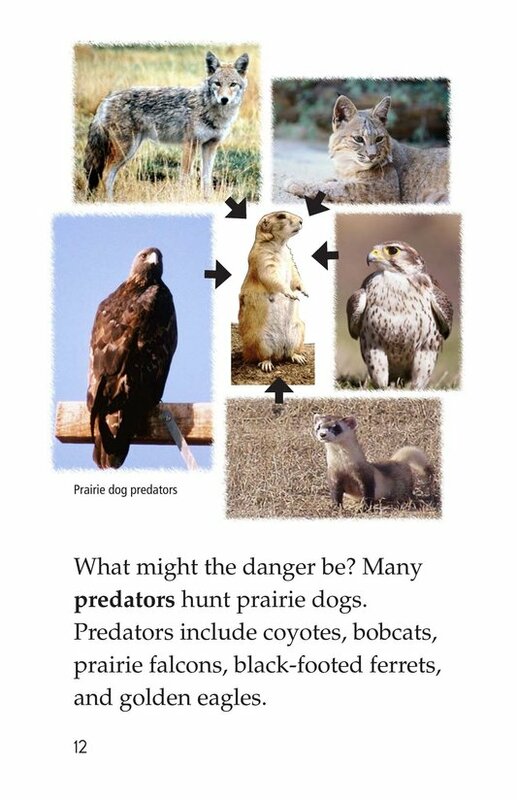 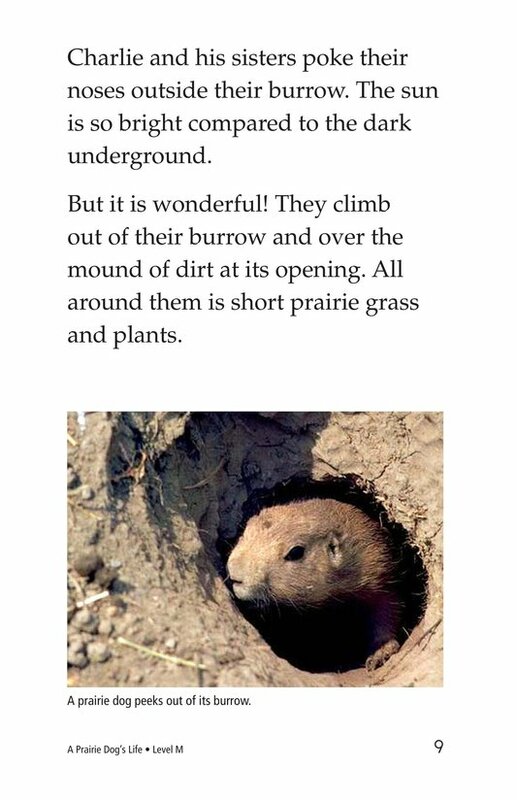 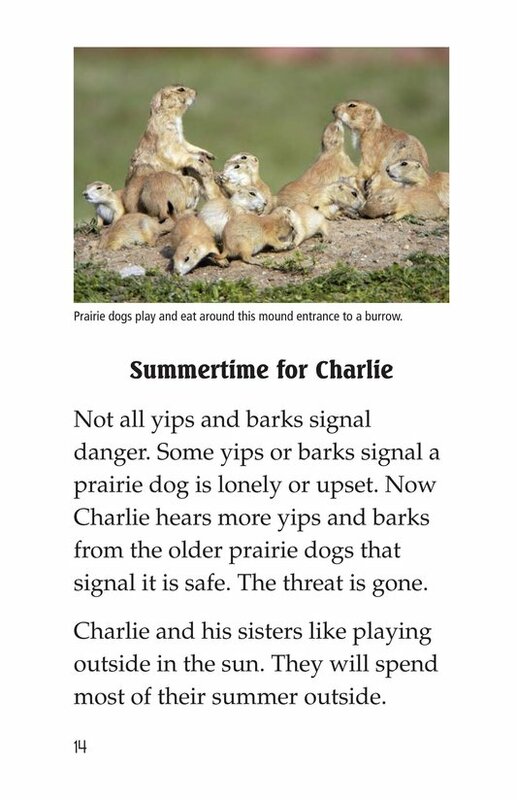 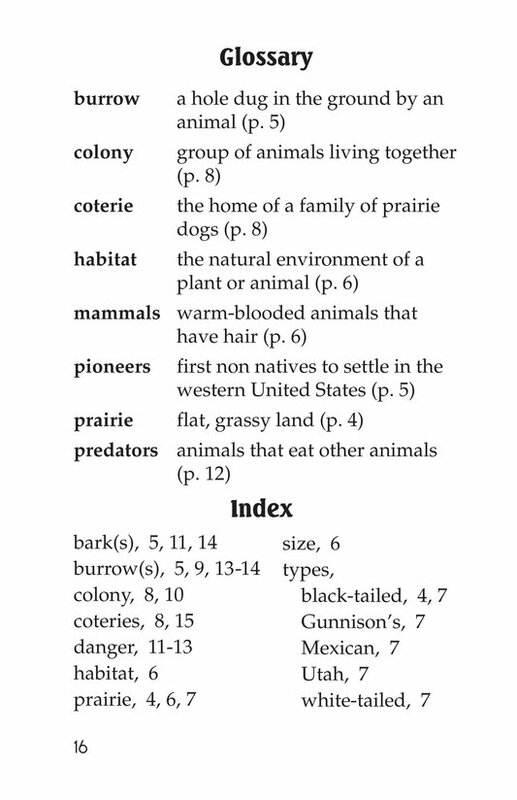 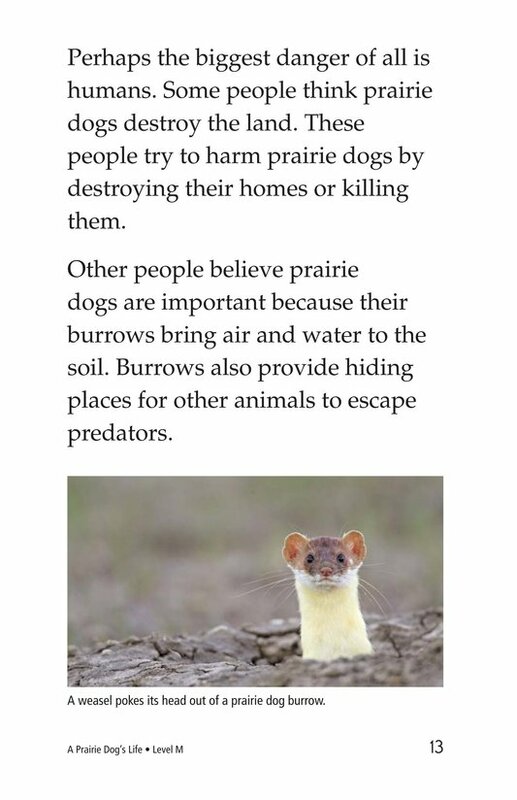 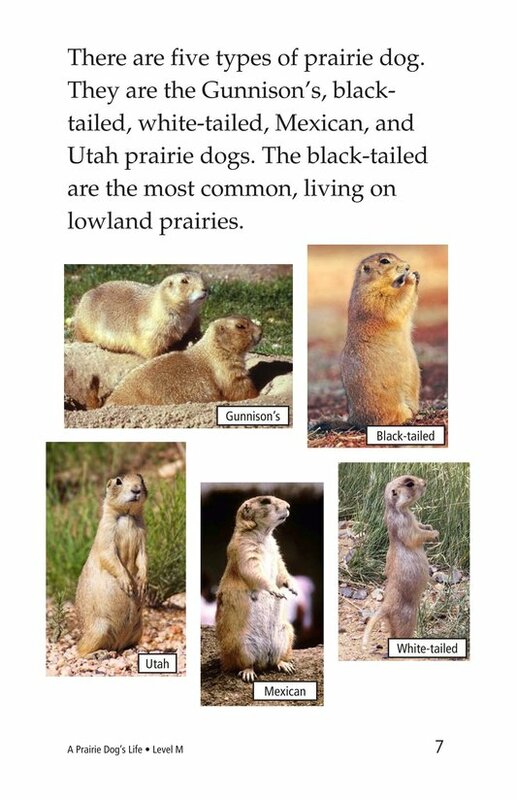 The book informs readers about where prairie dogs live, what they look like, and how they respond to danger. 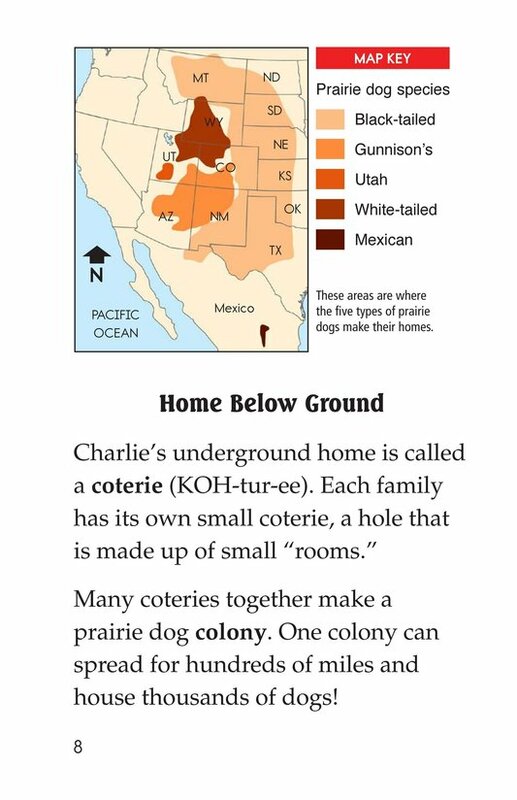 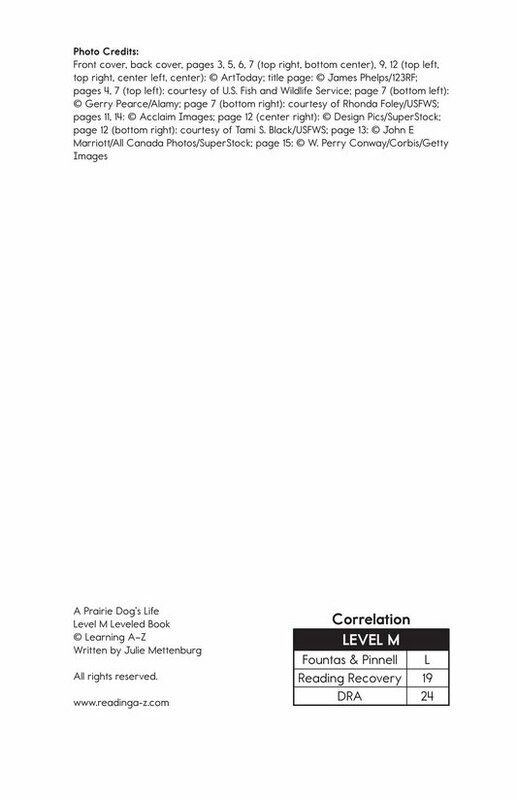 The book includes photographs with captions,a diagram, and a map.